Is Italy a nation of beer drinkers? Does anyone drink wine in Belgium? What’s the favourite tipple in Peru? Wonder no more. Thanks to the wonder of The Internet, you can now work out which type of alcohol is the most popular in a particular country around the world. 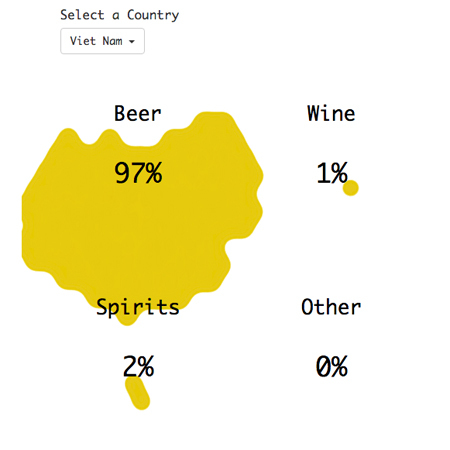 Based on data from the World Health Organisation, you can select a country and see it profiled in terms of which category is more popular: beer, wine, spirits or “other”. Why would such information be of use to you? Well, the stereotypes seem to be true… or are they? The Americans like to chug a beer, sure. 50% of the population polled like some brewskis. That’s compared to 37% of the population in the UK. Wine is almost as popular in the UK, with 34% liking a glass of white. Or red. Or rose. Or “sparkling”. 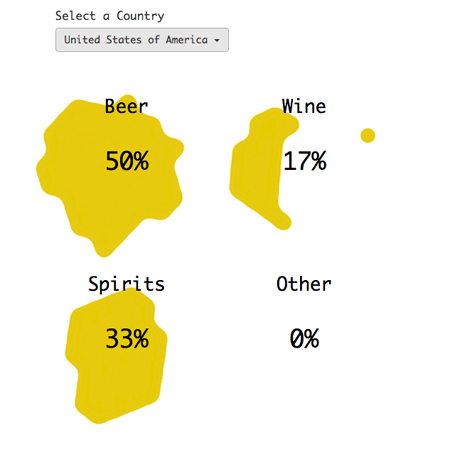 In the Bahamas, spirits are most popular (pour us another rum! 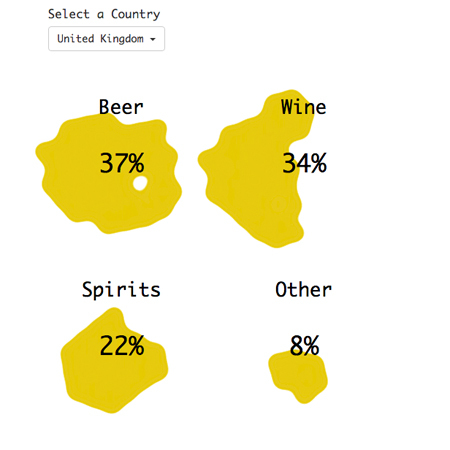 ), while Italy is 66% more likely to have a glass of wine. Ireland’s favourite tipple is beer at 48% - is that counting Guinness? More interesting is the fact that the Danish and the Swedish love their wine too, while the Vietnamese are 97% in favour of drinking beer. Wow. 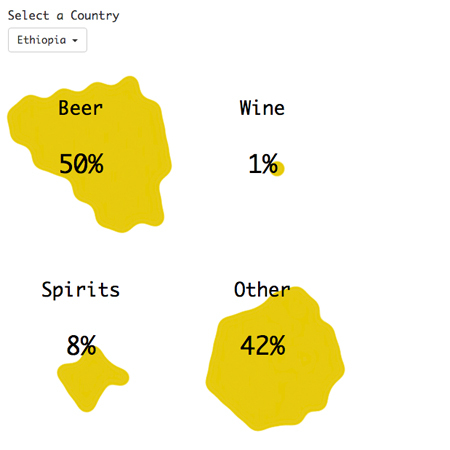 Meanwhile, Ethiopia’s population are 42% more likely to drink a mysterious “Other”, namely traditional beverages that don’t fit in our narrow categories. Go and have a play - but remember to drink responsibly!